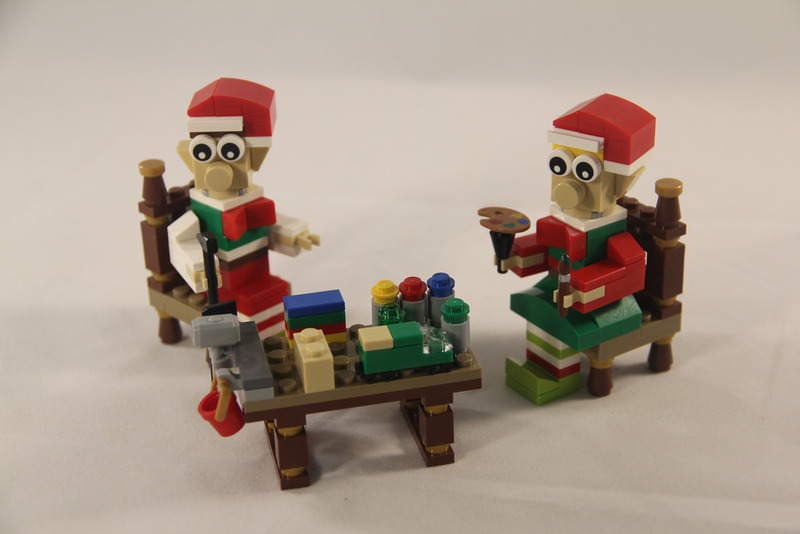 ​First up, we’ve got a couple of elves building some toys for Santa. There’s a female and male elf, with a table full of toys and tools. 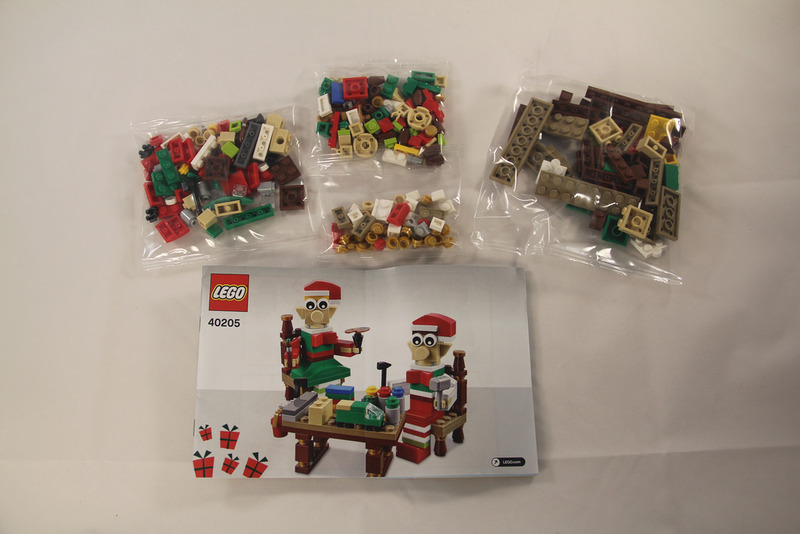 Inside the box are four un-numbered parts bags and the instructions. There’s nothing unique parts-wise in this set, but there are some nice-to-haves if you haven’t had them before. The first one is the brick yellow (or sand) coloured 1×1 round tile, introduced this year, only seen in two other sets – 40204: Pilgrim’s Feast and 21029: Buckingham Palace from the Architecture theme. Other interesting parts are the painter’s palette and brush, the rollerskates, and grey hammer. The build process for these little guys is very simple. Aside from the bows on their chests and their facial features, there’s no SNOT going on here at all. It’s all bricks on bricks. 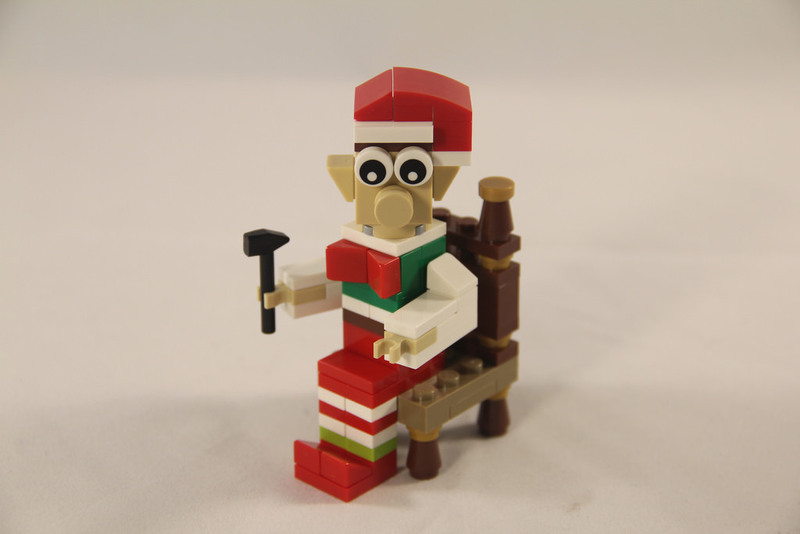 For each of the elves, the chair is put together first, with the building working up the body as you go. 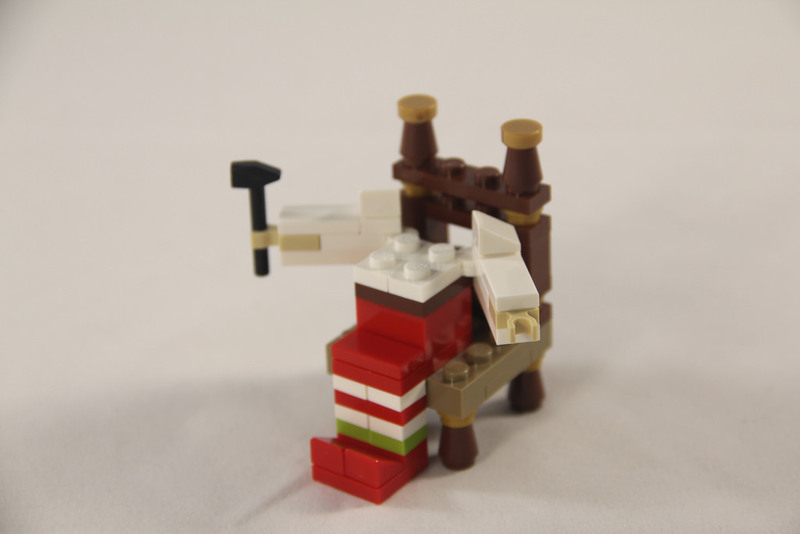 Straight forward, but also interesting if you haven’t built brick figures before. These are some of my first ones, so it was still rather interesting to see how the build went together. 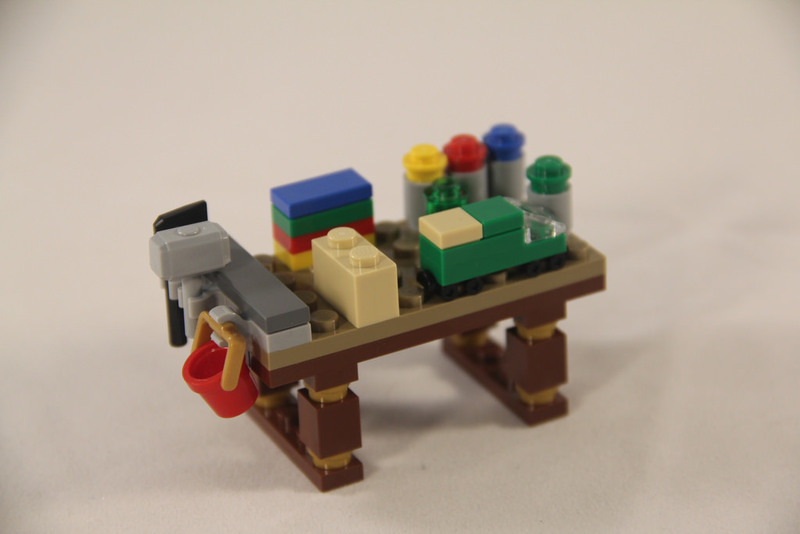 The table is extremely simple – younger kids would have no problems with this set. There’s a reasonable amount of strength in the build, but I wouldn’t be passing it around to kids to have a closer look at. This is where this set shines brighter. the colours are vibrant, and the set is eye catching. The male elf has some elvish tights on, and the female elf has a green dress, but they both match nicely. 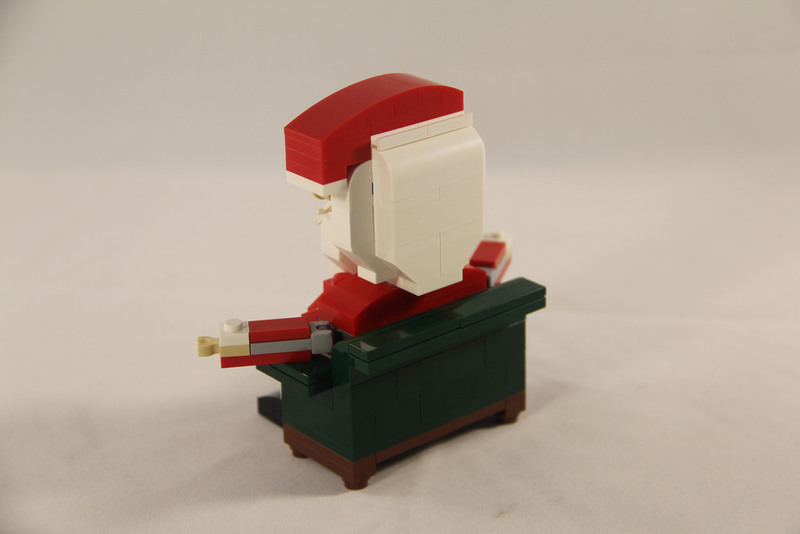 I’ve always struggled with Santa hats, but this way is the simplest and most effective way I’ve seen. Their faces are perfectly elvish, and while they have no mouth, it doesn’t really matter all that much, as it still works. The table is chock full of things to look at, from paint pots to a train that is almost finished being painted green. It’s very clever. The chairs and tables are also quite beautiful in their simplicity, looking very fancy with the gold trim. These sections are a little trickier. 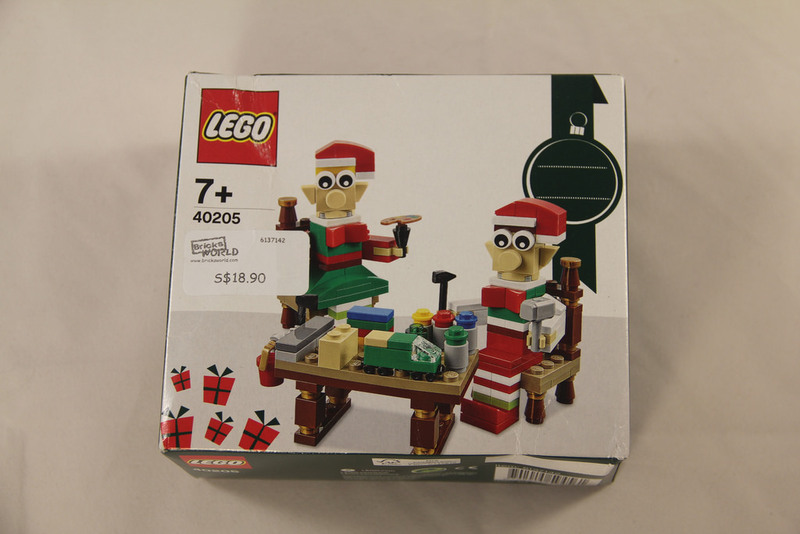 If you purchase this set from the LEGO Shop Online, it will set you back $15 (if they’re in stock that is – they’re temporarily out of stock at the time of writing). I paid a little extra for mine as I found them in a Singapore LEGO Store. You can buy them on secondary markets for around the same price, give or take a few bucks. For a sub $20 set, it’s pretty good value. 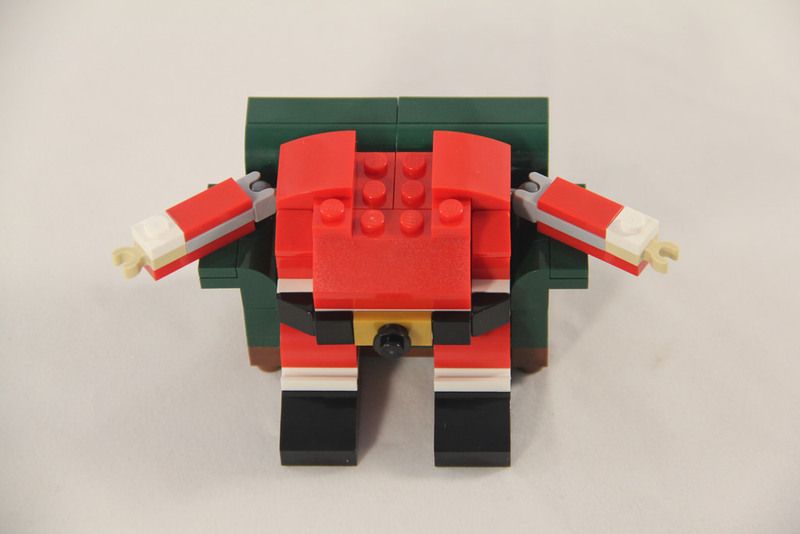 There’s an addition to the Christmas sets that get brought out every year, and some interesting parts included too, if you don’t look too deeply. It’s not a huge value for money, but it’s still not terrible. Collectibility wise, it’s about the same. 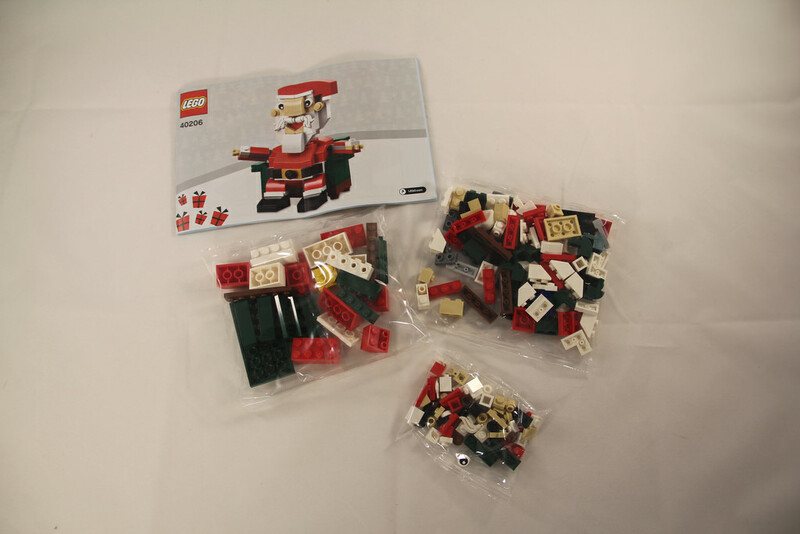 Christmas sets are quite special, as they’re able to be built every year – it’s always something I look forward to. The recent spate of brick built seasonal characters shows off some nice models, and I think it’s one of the best seasonal sets around at the moment. The fanbase is split – some think they’re weird looking, and some love them. Collectibility is often very individual, so I’m going with a bit of a higher score, because I’m the one that’s scoring them! If you feel different, please let me know. 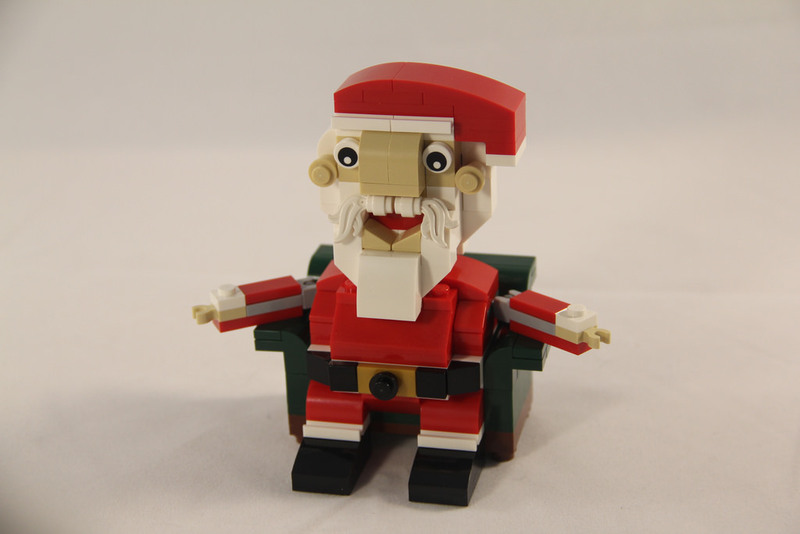 This one is similar to the Elves, however it’s just the one model, so parts are fewer.This one is of a very jolly looking Santa in a green armchair. This set has three parts bags and the instruction manual. Again, nothing special here, with even less excitement parts-wise than the Elves. 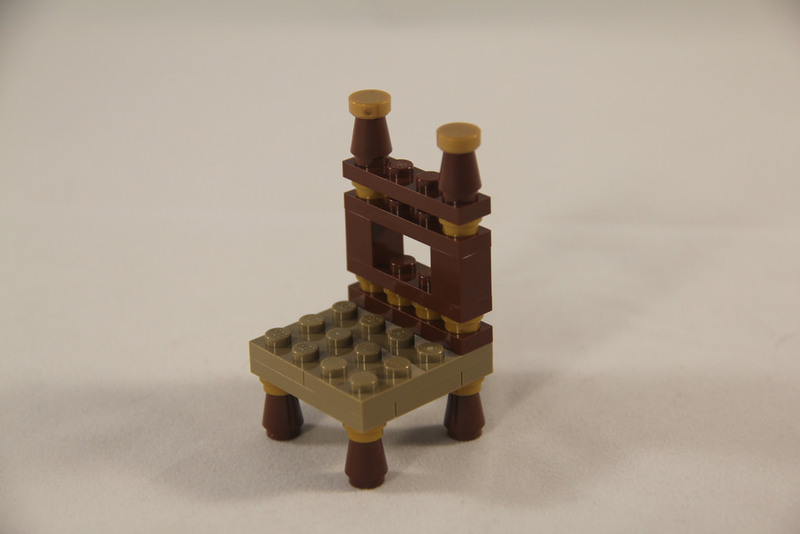 There’s some nice earth green elements used in the chair, but they’re far from new. There’s not really much else going on here. There are some nice bowed plates included, and the two white feathers used in Santa’s moustache, but that’s really all I could pick out. This one has even less going for it than the Elves! Santa’s arms move, but they’re not the full range of motion. Up is fine, down obviously only goes to the arm rests, but moving forward is limited due to the joint. The photos show the limit of the forward motion. The build for this set is even easier than the Elves. It’s a simple bricks on bricks affair, with a very limited SNOT section, limited to the eyes, ears, beard and belt. It’s very simple. Like the elves, the build works it’s way up, with the head being built separately, and being added whole. Very simple, and good for kids, but not all that exciting for adults. I’m not sure what to think about the look of it. I love the mouth and moustache – the fact that the designer has included some teeth at the bottom of the mouth is great, and the lower lips are excellent. The legs are perfect, but the set is let down by the arms and hands. It’s very much like an after thought. The requirement for some articulation was given but a sacrifice had to be made, and that was the scale of the arms. Using tiny claws as hands was a big bummer, especially considering the size of his feet. This set isn’t as great money-wise for value. 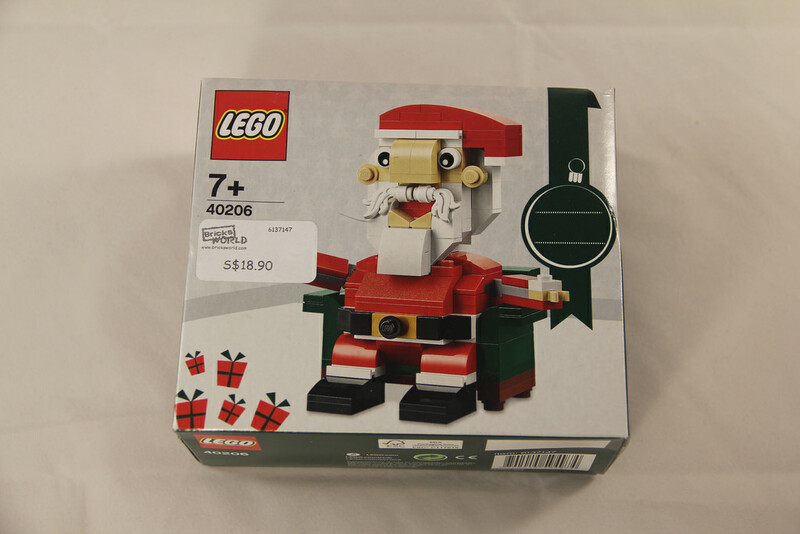 It’s the same price as the elves, but for less bricks, and far less exciting ones. It’s not a great build experience, so it’s not fantastic value for money. The green armchair is nice, but it’s not $15 nice. 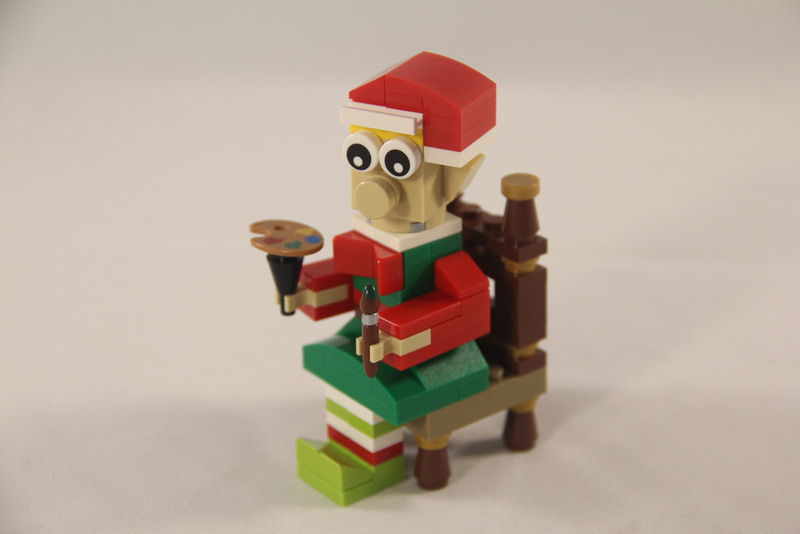 Much like the Elves, Christmas sets are very collectible, so the rating is bumped up, as well as being a brick-built figure, but it’s not the strongest one. That brings the Christmas review time to a close, and it also means it’s time for a few weeks off! I’ll be spending time with family over the next few weeks, so I won’t be publishing, but I’ll be back in the new year with plenty of things to talk about. Until then, happy building!